If you are not interested in a sport, there's not much you can do about it. Breaking News! The Hockey World Cup is being played in India. 16 countries are battling it out in Bhubaneswar to win the sport's most coveted crown. But it does not look like anyone cares. The Indian men's hockey team is ranked fifth in the world. Can they break the German and Australian stranglehold on the World Cup and create history? India, by all means, have started off well. They blanked South Africa 5-0 and held third-ranked Belgium to a 2-2 draw. If statistics are anything to go by, India has played the most attacking hockey in the World Cup. Simranjeet Singh is joint top-scorer so far and things are looking up with their next game against Canada on December 8. But forget all of that. 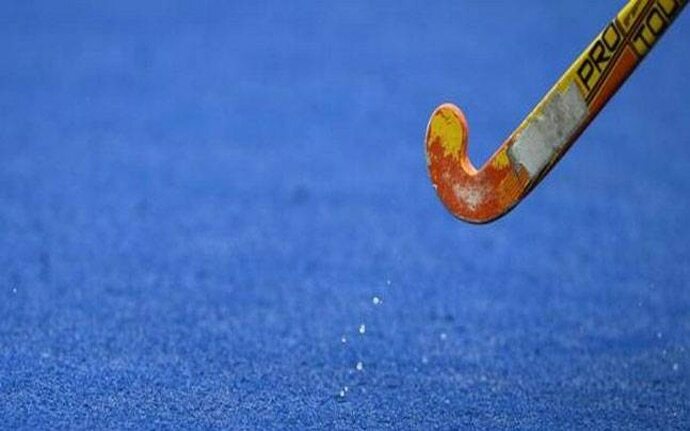 Sports afficionados in India have been stumped with the absolute lack of interest in the Hockey World Cup in Bhubaneswar. There is no buzz. No one is talking about it. It is a World Cup! It is HUGE! Why isn't everyone talking about it? Where is the hype? Where is the excitement? These questions led me to dig deep into the recesses of my mind and look at hockey – once a much-celebrated sport – and the many challenges it faces today. For starters, you can't just gather your friends, pick up a few hockey sticks and organise a game on the streets, can you? Cricket, easily the most rewarding sport in India, is easy to play. Even without a bat! Look for a plank of wood, get a ball and two people can have a good time playing in the gullies. Ditto with football – all you need is a ball to kick around on the turf and you are good to go. Hockey, on the other hand, needs infrastructure. It needs proper equipment. Professional hockey is played on artificial turf and it is dangerous for amateurs to even try their hand at the game on rough fields – seriously, do not try that. You could end up injuring yourself. As a goalkeeper, you need proper protective gear. Without it, you are just exposed. No surprises then that it's easier to spot a game of cricket or football on the streets. Badminton, even. Moreover, do we even recognise and celebrate our hockey stars? India's greatest sporting legend Dhyan Chand left behind a rich legacy. Hockey in India owes him a huge debt. August 29, Dhyan Chand's birthday, is celebrated as National Sports Day – players from every field say the right things about sports and encourage their followers on social media to take up a sport and stay healthy. Then, there are the likes of Balbir Singh, Leslie Claudius and Dhanraj Pillay. Yes, you may have heard of these legends. And of Sardar Singh? Certainly! And Sandeep Singh. Rings a bell? Soorma? Sure thing. Hockey, which won India six Olympic gold medals in a row, sadly has no takers among a generation of Indians obsessed with T20 cricket. Boy, they have come up with something even shorter – T10. Watch out for that format. How many can actually name the playing XI of the Indian men's hockey team? Okay, six current players? Five? Four? Yes? No? Most likely no. It's easier to think of 20 names in the cricket team, no? Possibly. If you cannot immediately recall at least the first playing XI of your national hockey team, don't beat yourself up over it. If you are not interested in a sport, there's not much you can do about it. Is hockey dead in India? We have a good team. We have some very, very good players. A few of them are truly world class. So where does the fault lie? That's for another space. Maybe here, we could look back at our glorious history and wonder what really went wrong with our passion. Cricket writer and enthusiast who has spent nearly a decade in cricket journalism.